Despite of the fact that Apple’s iOS 6 was tested before its release, the users are often seen to post their issues and problems over the web that they come across frequently using iOS 6. 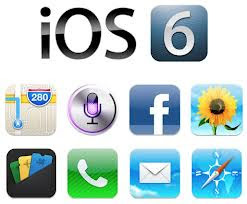 Although Apple provides great support for its users on the iOS section of Apple Support Communities, below are the some common issues of iOS 6 with their fixes for iOS 6 users. Problem: The most common issue that iOS 6 users frequently come across is its rapid battery consumption which is quite irritating for business class users. Imagine your phone runs out of battery power when you need it the most. It is pretty frustrating! If you have faced the similar problem with your iOS 6 device, here’s a useful solution for this. How To Fix: All you need to do is clear up your multi-taskbar by deleting all the apps appearing on it. This would consequently increase your battery power. However, the process time of killing your apps would depend on the number of apps appearing on the multi-taskbar. Cleaning up your multi-taskbar can be useful to increase your battery power consumption and would increase the response time of your iOS 6 device. Go to Settings> General> Reset. Choose Reset Network Settings. Just restart your Wi-Fi network and you should see that iTunes Match option remains to stay enable. This worked out on my side, and I was able to listen to all the songs saved in my iCloud account. However, if this doesn’t work out for you, you can consult to Apple Support Community. Problem: There are various third party apps that need to get updated first in order to be compatible with the new iOS 6. But there are certain situations faced by the people when an application despite of being updated still crashes after installation on iOS 6. How To Fix: The fix for this problem is simple. All you need to do is delete the installed app first and download it again. Just make sure to create backup of any related file or document of that app. Moreover, just check if you have downloaded the latest version of that app which of course should be compatible with iOS 6. Problem: There are numerous Apple support communities seen to post a problem regarding loss of Wi- Fi network. According to the concerned users, they see the Wi-Fi option has faded with grey color and they are unable to select it. There can be different reasons behind this behavior of iOS 6’s Wi-Fi network setting, but here’s a possible fix that you can try. How To Fix: You can try turning off your “Cellular Data” in “Settings”. This should help you to get your Wi-Fi in enabled mode again. But it is not necessary that this fix would work out for everybody having the same issue. The reasons can be different for this issue. So it’s better to report this issue on Apple Support Community if the problem still exists. Can’t Connect To iTunes Store! Problem: Another serious issue that iOS 6 end-users experience frequently is when the error message pops out saying “Can’t connect to iTunes Store!” while updating an app through an App store or when they use Passbook app. How To Fix: A simple fix can be applied to overcome this problem. All you need to do is go to Settings> General> Date and Time and simply turn off the option “Set Automatically”. Then simply change the year to “2013” and you should not see that error message again. I hope the post is useful to many of the concerned iOS 6 users who get frustrated often while facing such issues. However, there are many such issues rising with the new OS launched by Apple and I hope that Apple’s team would look into it properly.